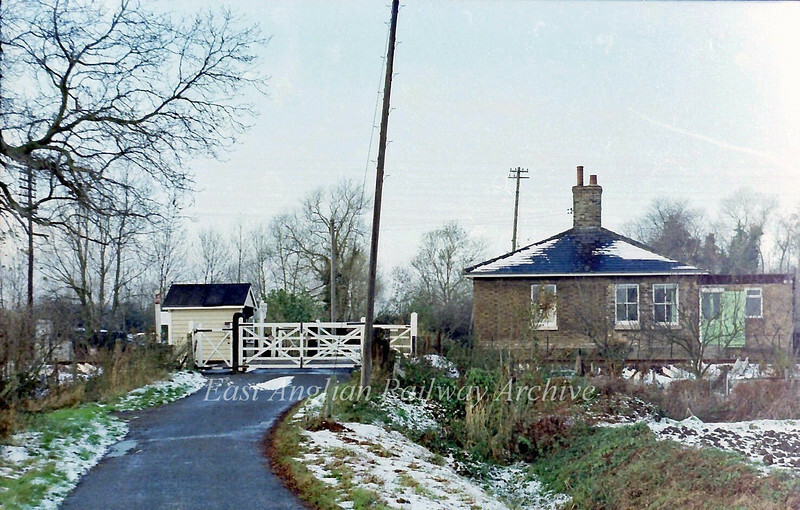 Milton Crossing on 28th November 1978. This is a minor road leading down to the River Cam at Baits Bite Lock. In the summer months it is very busy and the crossing keeper must have had a very disruptive life opening and shutting the gates for traffic before the crossing became automatic. AHB.